CACN represents colleges and universities offering baccalaureate and higher degree programs for California's nursing students. We are committed to providing the highest quality educational opportunities to benefit our students and communities. Click here to view more pictures from the 2019 Spring meeting. 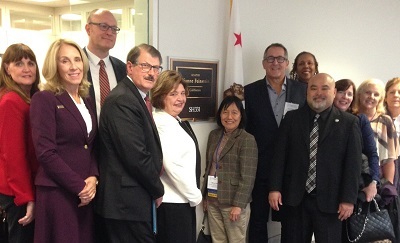 CACN members visit Senator Dianne Feinstein's office to discuss important issues in nursing education and practice during AACN's 2017 Academic Leadership Conference in Washington, DC in October.